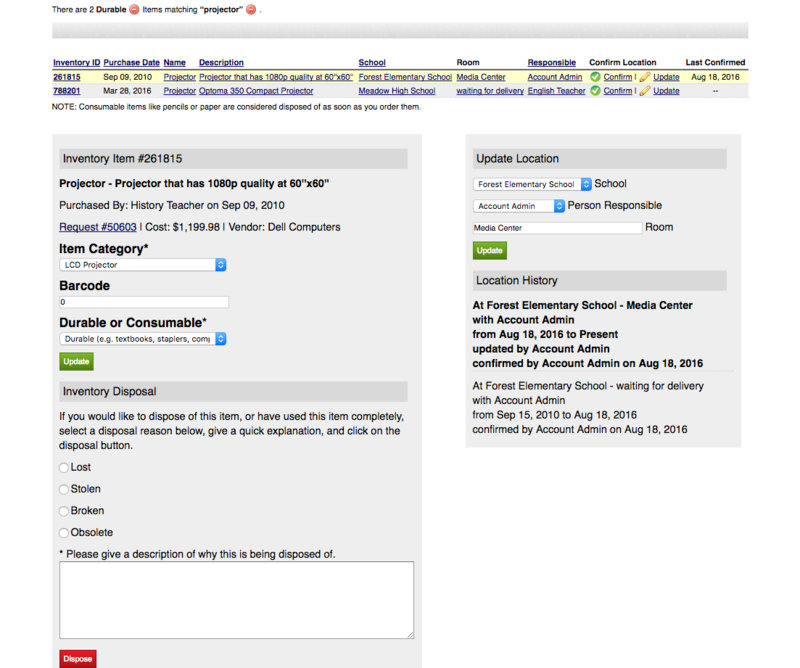 Manage your schools with a simple to learn and use web application. Save Time, Money, & Trees with EZPT.  EZPaperTrail is web based and hosted for you for quick, easy setup and updates. All you need is a web browser and internet connection to get started. No More Printed Paperwork & Forms. No more wondering what happened to a request. Everyone can submit, work with, and check on requests online quickly and easily. 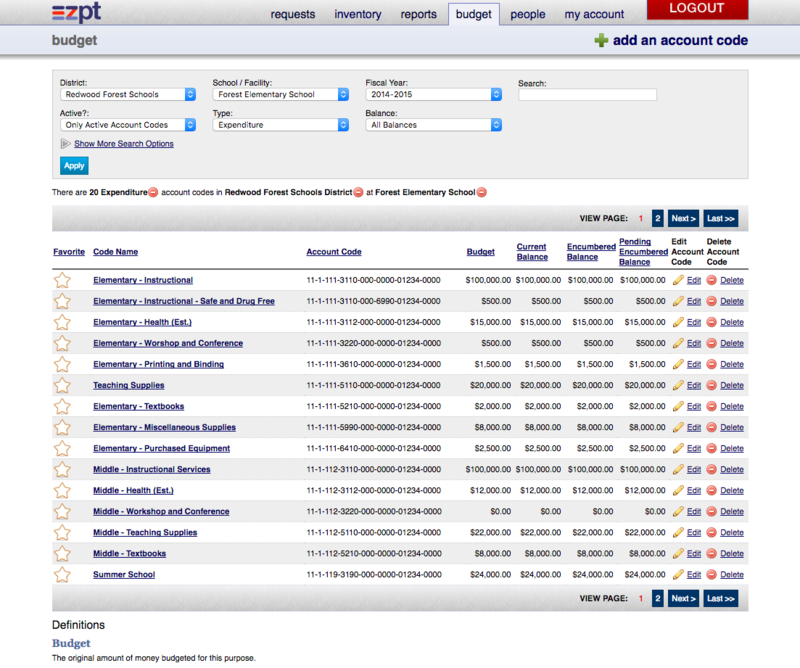 EZPaperTrail (EZPT) is a tool for requesting spending, approvals, and support for the teachers and staff at a school. 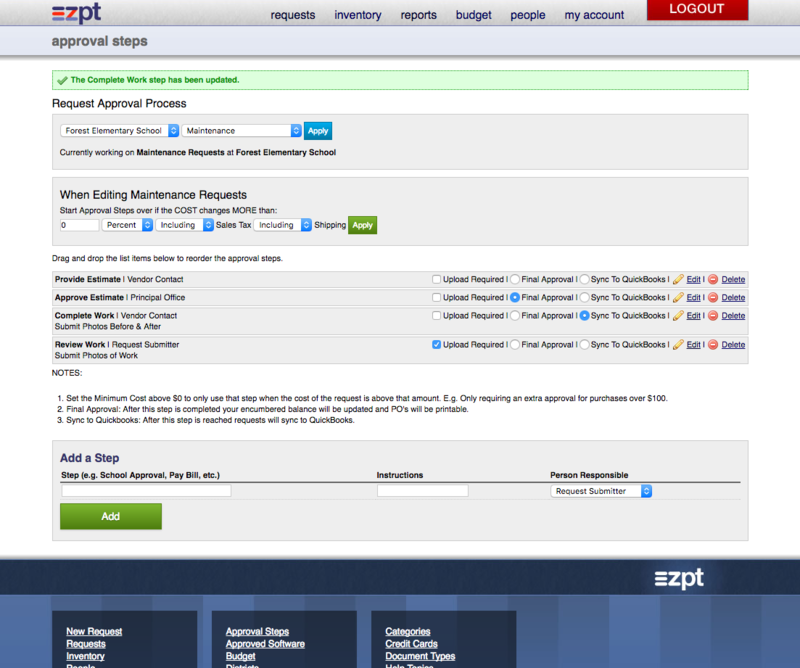 It allows you to define customizable approval processes and workflows for each type of request, e.g. Purchases over $1000 go to the Principal for a Second Approval. It gets rid of piles of costly and inefficient paperwork, enforces orderly, auditable processes on spending, and gets rid if the guesswork for workflows and processes (no more staff dropping by the office to ask when or if a request will be handled). EZPT requires no training for most teachers and staff, and only a few hours with your accounting and financial team to ensure that your budgets are imported and setup correctly. It is designed to support flexible processes for all of your schools while still being dead simple for people to use. We work hard to keep each feature clear, focused, and understandable. 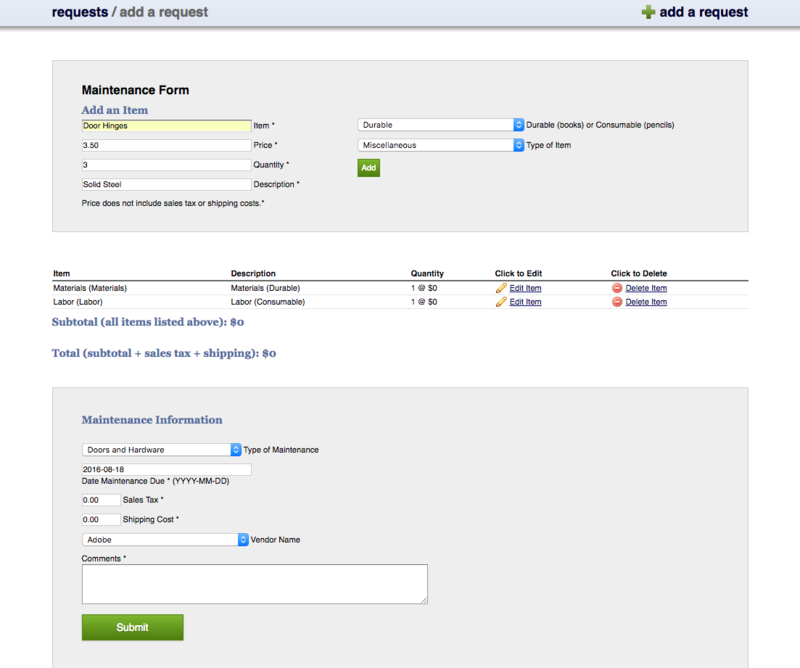 Use customizable request and facility based approval processes and workflows. Plan, approve, and track purchases and automatically add items to your Inventory. Plan, approve, and track bills from vendors and service providers. Plan, approve, and track professional development for staff and teachers. Submit, approve, and process requests for Time Off and Substitutes. Customizable Inventory Disposal processes help track lost, stolen, and broken items. 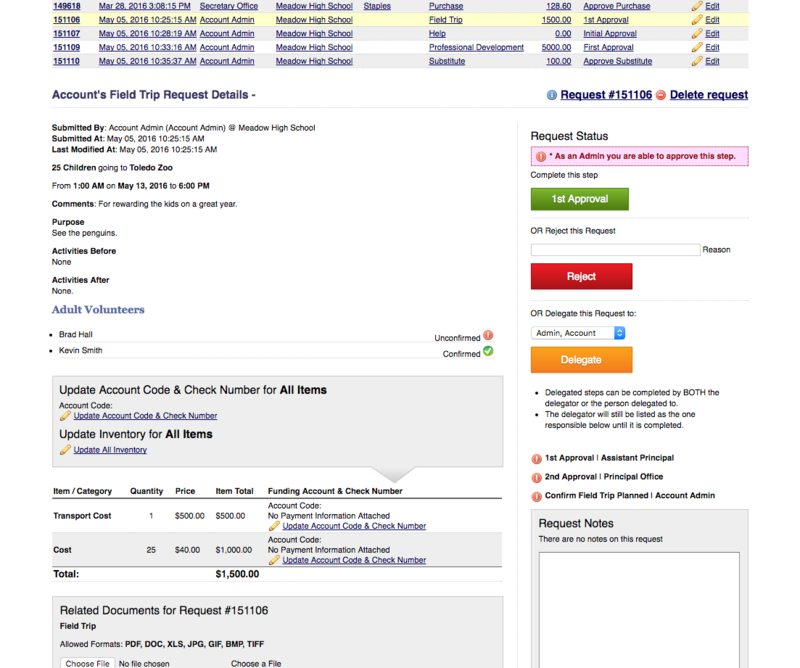 Manage Field Trip requests, approvals, and information. Manage Cafeteria Bills and Purchases independently. 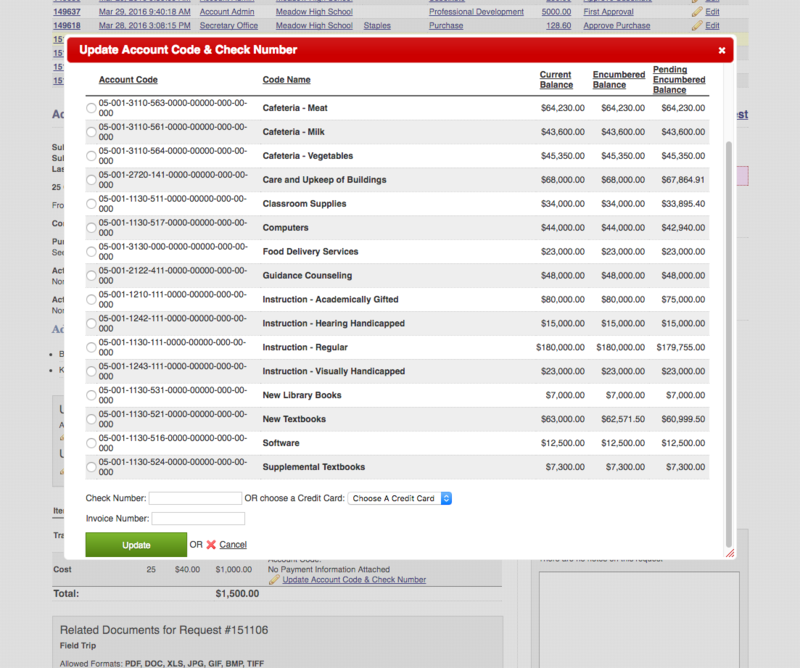 Track Budgets in real time as spending is planned, approved, and completed. Sync with QuickBooks to exchange data, saving time and reducing errors. Provide easy access for Auditors to review budgets and spending. Run additional reports to gain insights into your operations. Easy permissions allow you to control features each person can access. 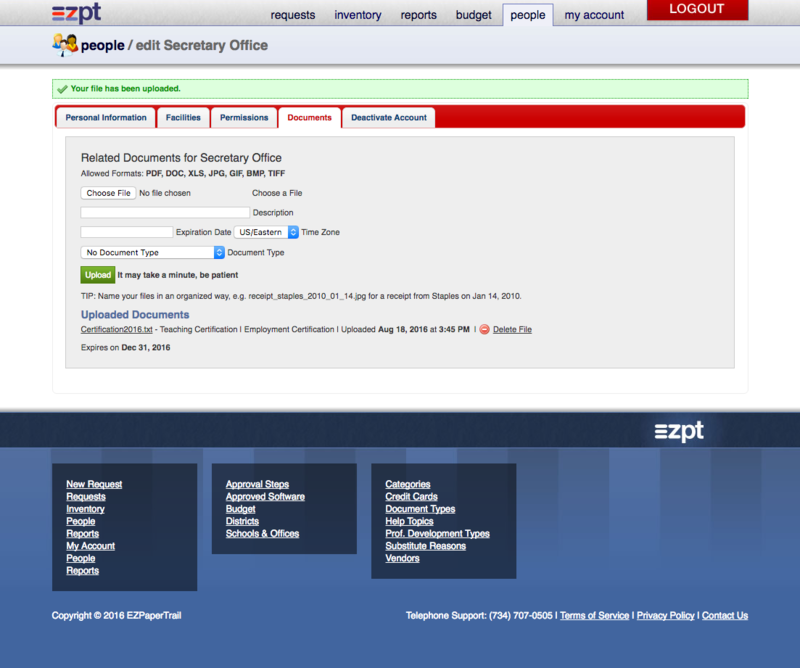 EZPaperTrail is hosted in a secure data center. All you need is a web browser. 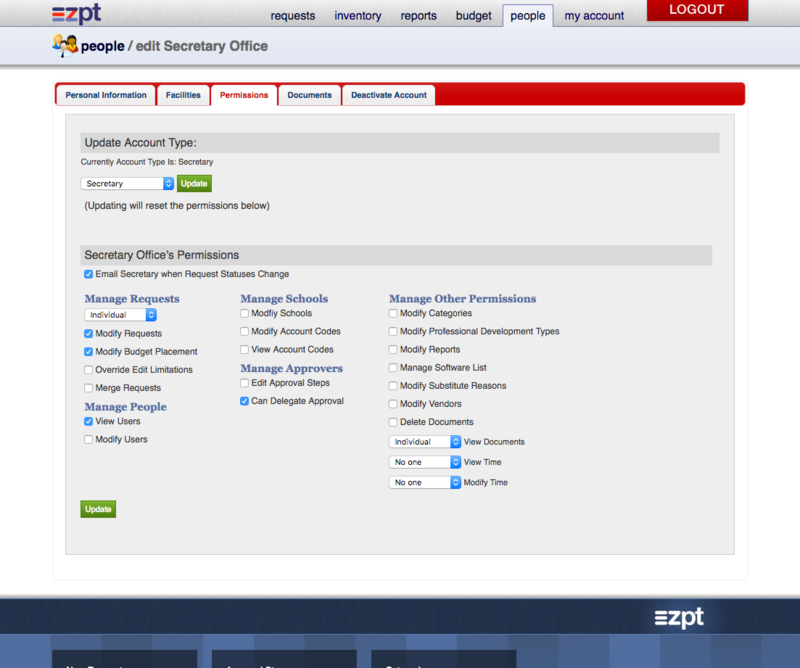 A preview of EZPT - Contact Us for a live demonstration.